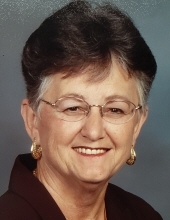 Rose M. Keen, 79, of Momence, IL, died on Tuesday, April 9, 2019, at her residence surrounded by her family. She was born on October 22, 1939, the daughter of George and Agnes Bennett Hausbeck. She married Rodney “Rocky” Keen on February 25, 1956 in Grant Park, IL. He survives. She is survived by two sons and daughters-in-law; Michael (Roxanne) Keen of Momence, IL, and Mark (JoAnne) Keen of Momence, IL. Three daughters and sons-in-law; Deb (Dale) Neal of Bradley, IL, Candy and Bosco Martin of Momence, IL, and Kelly (David) Cantwell of Momence, IL. One sister; Charlotte Williams of Claremore, OK. Also surviving are 15 of grandchildren and 16 great-grandchildren. She was preceded in death by her parents, also preceding her in death is her step-father; Charles Land, and one brother; Charles Hausbeck. She was a homemaker and worked at Baker & Taylor and Momence Finer Foods. She was a member of the St. Patrick Catholic Church in Momence, IL. She enjoyed quilting, ceramics, and gardening, she enjoyed spending weekends with family by the pool and teaching all of her grandchildren how to swim. She also enjoyed watching and supporting her children and grandchildren at different events. To send flowers or a remembrance gift to the family of Rose M. Keen, please visit our Tribute Store. "Email Address" would like to share the life celebration of Rose M. Keen. Click on the "link" to go to share a favorite memory or leave a condolence message for the family.